Are you interested in being involved with us? In supporting this ministry? There are three main ways you can help. Your tax-deductible donation to Amoveo Group helps to provide practically for this ministry. Follow the Donate link to partner with us financially. Short-term mission teams walk alongside the people, sharing the Gospel while they provide willing hands and hearts to support the ongoing ministry. Coming to serve an overseas community requires flexibility, sensitivity, and a willingness to reach out in Christ’s name. Are you up to the task? Contact us! Service. This is where teams get to serve in the community, to help out with local ministry work, and to be the hands and feet of Jesus in Dublin. The presence of willing and flexible people can help to enable programs and events, while also building relationships and sharing faith. We are also careful to connect people in ways that helps without doing harm. This means teams will serve alongside existing ministries who will be here all year to follow up and care for people. Engagement. As an American, I don’t think I was alone in having a fairly idealized concept of Christianity in Ireland. However, walking the city, talking to people, and engaging with the local culture has a way of opening one’s eyes to get a sense of the need in this community. Our hope is that people will come and see for themselves and pray for and encourage the believers serving here. Encouragement. 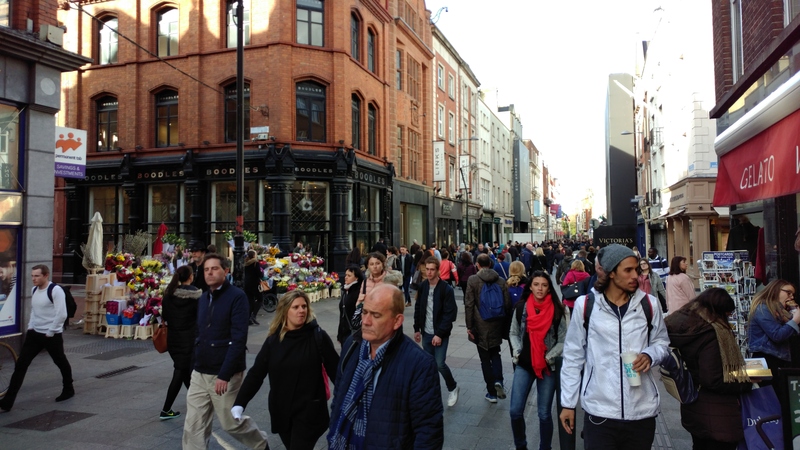 People can come and serve in Dublin for a week, but there are 51 other weeks in the year. We would love nothing more than to have the experience of coming here act as a springboard for Gospel work in one’s own community. So we are intentional to walk teams through God’s heart for the world and our privilege of being involved in His work. 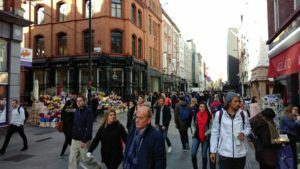 Short-term teams may have a short-term and meaningful impact in Dublin, and we want to encourage them to have a long-term commitment to Gospel work wherever they are. The Lord God Almighty is the Architect of this ministry, and it is for His glory that we serve. For this reason, we need to be covered in prayer! Will you take a moment pray? Will you commit to praying for this ministry on an ongoing basis? Sign up for our newsletter for more information on how you can pray.